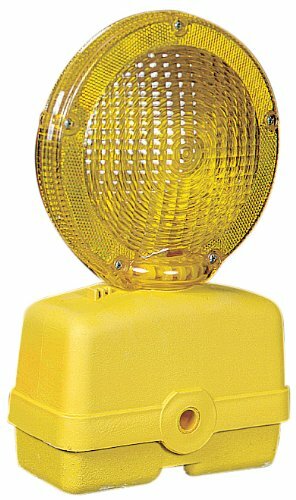 Mutual high-quality barricade lights feature a yellow 7-inches polycarbonate fresnel lens with advanced optics for increased visibility. Dependable, coated solid state circuitry provides reliable operation in even the harshest weather conditions. Each light features switchable manual (ON/OFF) or automatic photosensor (which turns the light on at dusk and off at daybreak) operation. In addition, each light can be set to blink or burn steady. The high-density polyethylene case is UV stabilized to retain color and strength. Meets all MUTCD requirements and is NCHRP-350 compliant.